A good article HOW TO CHOOSE LAKE PROPERTY has been added to the site. It is a good review of questions to ask yourself when looking at lake property. Â On Lakefront Investments you will find the best Lakefront Properties like Cherokee Lake, Norris Lake, and Douglas Lake in Tennessee. Emerald Pointe was created from one of the most beautiful parcels of land in East Tennessee and looks great. Maybe this will be a good weekend trip for me to take up from Atlanta to check it out.Â I like the mountains too so this is kind of the best of both worlds for me. Most people stay put when they retire, or just move out to a small town within 100 miles of where they have lived. I think that is especially true in a beautiful state like Tennessee. TN will also be very attractive to retirees from other states. 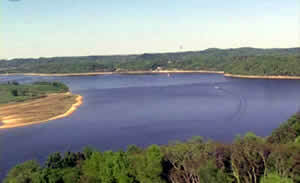 Blount Couty – Maryville, Cumberland County, areas surrounding Nashville, Chatanooga TN are all good places to retire to. PleaseÂ click the title to this post, then scroll down this page and give us your comments where you would like to retire to inÂ Tennessee and why? What are the best areas do you think? What are the up and coming areas that would be good for retirement living and why?